Thanks to Misty for hosting this awesome meme Camera Critters. Well, One of my bestfriend Lilia went to Florida last Summer and email this lovely bird to me. 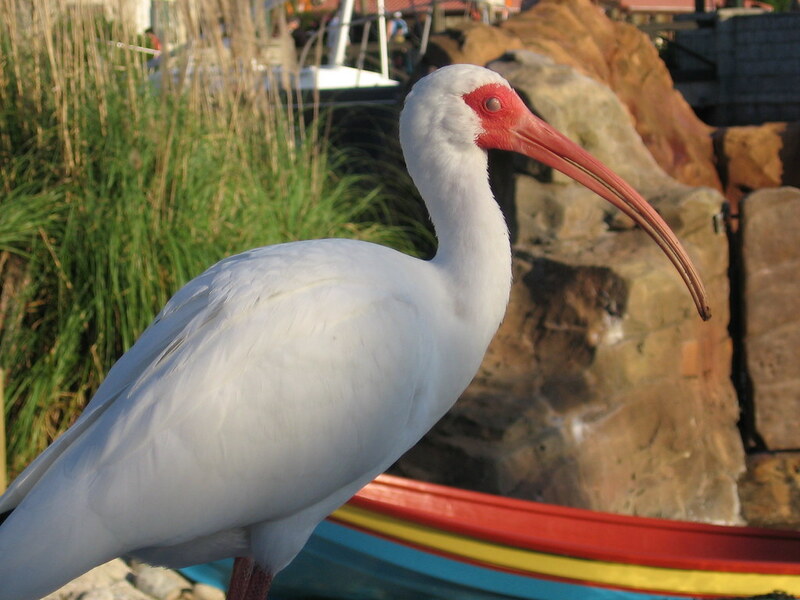 If I'm not mistaken this bird called White Ibis. If you love to participate this meme just visit here and don't forget to add your name in auto link below. Have a nice day to all. Have you experienced bankruptcy and you are so worried with your debt? Texas Bankruptcy Laws is the great solution. If you have a problem with your business and you need money, Texas Bankruptcy Laws can provide an honest debtor to get a good start. You can use credit card debt calculator and see how long it is to pay off. 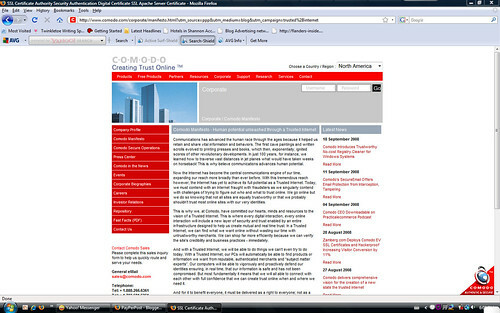 If you are interested try to read bankruptcy information at bankruptcylawstexas.com. So, what are you waiting for, log on the website now. Sweetest thanks to the most beautiful owner of Scenic Sunday, The Holleys and to all members of this meme. These are my simple contribution for this week, a fountain and the most authentic view of Niagara Falls. I took these at Niagara City when I went to visit the Niagara Falls, three hours travel from my place. Just click the photo to enlarge and you can view the beauty of Niagara Falls clearly. Thanks for leaving a message and happy weekend to all. My cousin Lara shared to me about neowave.com during our conversation yesterday. When I rush home I checked ecommerce website immediately. I learn that it’s a very interesting company who designed SEO-friendly e-commerce shopping cart software that help online store owner to sell more online products. They offer the most powerful webshaper e-commerce that easy to use and always ready to help you sell your online store. They have developed a Fraud Alert System that helps the client to prevent credit card fraud. The software is UPS ready. Not only getting the real-time UPS shipping rate but the customer can also print out UPS shipping label from their software. They also provide tutorial to help the client know on how to make full use of the shopping cart software. If you are web designer, you will love their software because it is highly customizable and can integrate with most website design. The products are available online, easy to access, safe, secure and guaranteed best in quality. It is a very helpful, saves a lot of time and less expensive. For those who want to build a new business online, this is now your chance to realize you dream. Well, if you are interested visit the website and buy online. Wow! I received good news from my auntie Lita today. She's promoted as vice president in their company but she needs to transfer to the other province. Relocation can be stressful and expensive nowadays. She needs the best relocation guide for safety and less expensive. While searching the net, she found a great moving guide that is very fast, secure and affordable. ABF U-Pack Moving is a "you pack, they drive" moving service that picks all your things delivers to your new location. 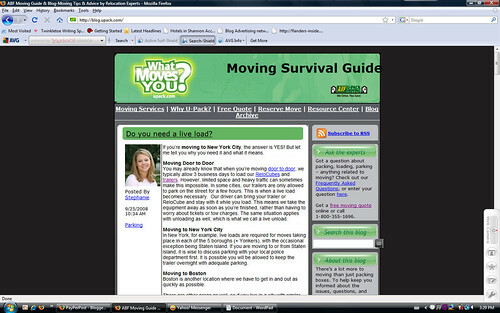 So, if you need moving advice, visit blog.upack.com and enjoy your new place. At last! Tomorrow is Friday again. On Saturday, I will visit and stay at my friend's house. We plan to bake a cake, cook spaghetti and many more for our picnic at the park near to her house. Also I need to buy some fruits and drinks. 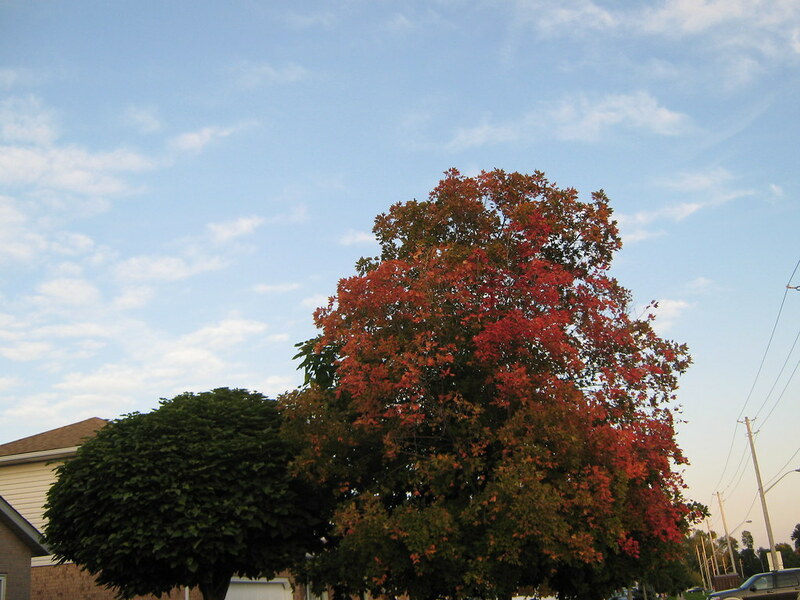 I hope the weather will cooperate with us tomorrow. How about you guys? I hope you enjoy your weekend. I received an email from my cousin Laura yesterday. She told me that last month she was bothered by a prank caller three times. I advised her to visit 50statephonelookup.com and use reverse phone search to find out the person who disturbed her. Well, if you live in the United States and have the same problem with my friend, Reverse Phone Lookup can surely help you find the owner of the phone whether the number is listed or not. For more details, log on the website and try now. Every time I feel bored at home I immediately read some books from my drawer. I select my favorite and inspiring books that I bought last year from my beloved place Philippines. Its all about parenting by David Wilkerson that I would love to share with you. Here it is " Good parents do not always produce good children, but devoted, dedicated, hard working mothers and fathers can weigh the balance in favor of decency and the building of moral character. Every word and deed of a parent is a fiber woven into character of a child, which ultimately determines how that child fits into the fabric of society." Hi! Hello to all business lovers. How are you today? Are you inspired to start a new business? Well, if you want to start a new business, you have to be very careful, flexible and needs proper strategies and techniques to make your business grow and develop. In business you need the best tips, proper guide and strategy on how to make your business to become successful and profitable. We all know that in the world of business it is very hard to achieve without proper knowledge. That's why we need proper education, effective strategies and techniques and tips from many experts. To become powerful and more competitive, recruitmentjuice.com is the best solution. They provide the best freshest approach of recruitment training to all who love business. They provide the best recruitment videos to become more effective and knowledgeable. 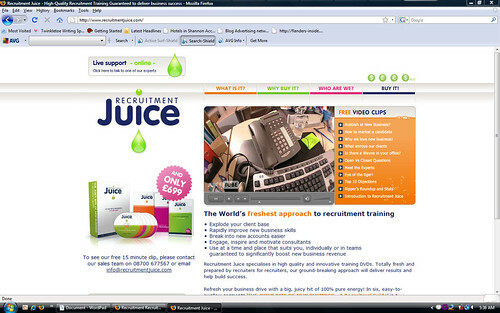 Recruitment Juice offers great tips through innovative training DVDs. DVD training programmes that will help you motivate your ideas, gain proper education, entertainment and inspire to become a successful. The training programme includes six DVD's covering “The Juicy Bits of New Business - a recruiter’s guide", 48 page full colour workbooks, perceptions of the recruitment industry or a client survey report, weekly video clip training reminders and 6 week implementation guide. In recruitment training modules, you will learn about attitude, methods in preparing and planning for success, opening calls with impact, questioning and communicating with confidence, eliminating objections and closing intelligently and strategies for creating new business plus a juicy tips. Recruitment agency software includes trainee recruiters, recruitment consultants, managers, high street agencies, recruitment consultancies, executive search firms, all industry sectors, specialism and vertical markets. So, what are you waiting for, if you are interested to buy, log on to the website and gain confidence with the best DVD training programmes they offer you. It was a wonderful afternoon when the four of us decided to have fun here in a public swimming pool near our house. My sister, brother in law, niece and I enjoyed with the warm water. 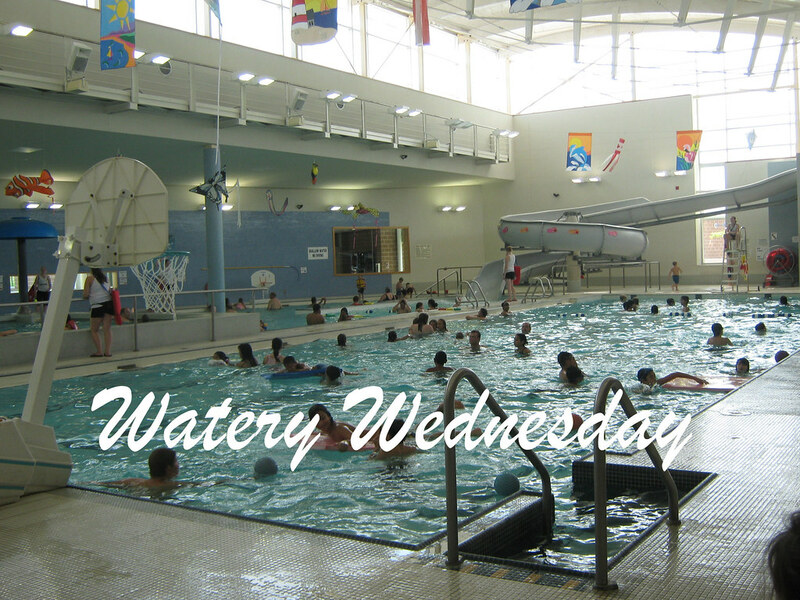 Thanks to 2sweetnsaxy for hosting Watery Wednesday and to those who loves to participate just click the icon and link your post. Take care and happy WW to all of you...!!! To maintain our body healthy we need to be active in 30 minutes to one hour on most days of our life. It is advisable also to eat balance diet like vegetables, fruits and avoid too much fats and red meats. There are many benefits that you can get in regular exercise and eat less. If we exercise daily like walking the park, take the stairs, running, swimming, dancing, biking or playing your favorite sports, it helps increase the level of good cholesterol, lower your bad cholesterol and become healthy. So, it is very important for us to eat healthy foods and become active as often as possible. But sometimes we become busy in our work and forgot to exercise. Sometimes we forget the word diet and become overweight. That's the reason why most men and women at the age of thirties and up, they suffered to much obesity and overweight. If you have a problem like this fenphedra is the best solution. It's the most effective, fast, guaranteed safe, natural, best diet supplement with a very affordable prices. For more information visit the website and buy online. 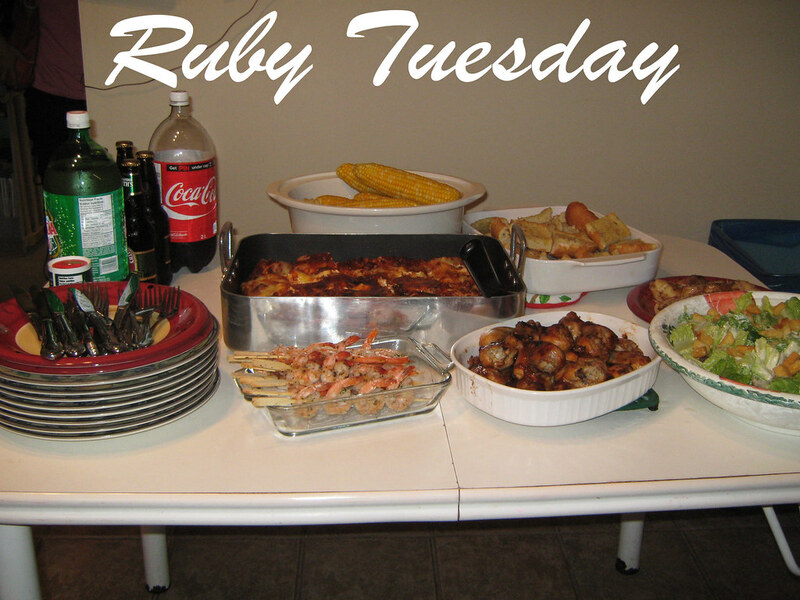 Thanks to Mary, the teach for this wonderful meme "Ruby Tuesday". Last Saturday, my niece celebrates her 4th birthday at home. There are different kinds of foods with drinks at the table and one of them is coca cola with a red label. 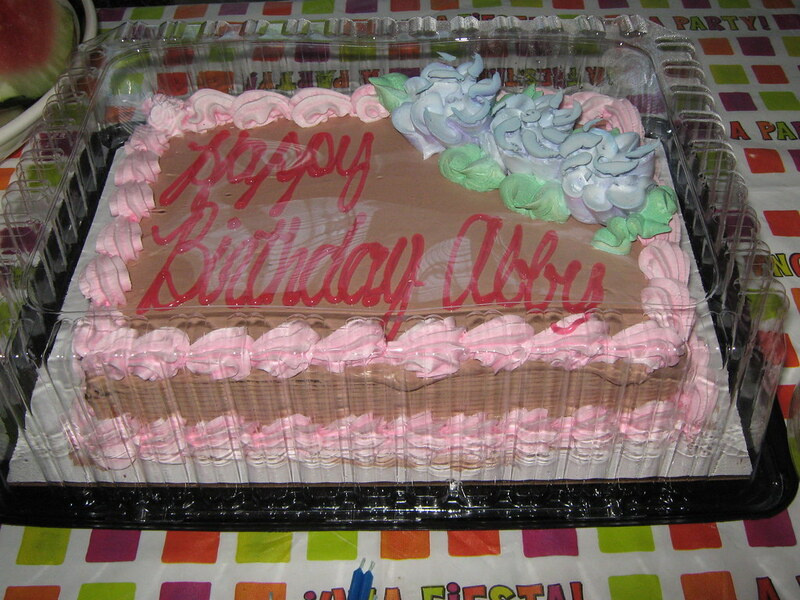 Take a look of the second picture, a pink chocolate cake with a red Happy Birthday Abby. When I was a little girl I loved being at home, cleaning our house, polishing the floor, arrange all things inside the house and cooking. I love to spend my time in the kitchen together with my mom and help her prepare our foods. When I got married and moved to our own house, I started collecting my own utensils in the kitchen such as plates, knives, spoons, forks and many more. Aside from that I love to give kitchen ware gifts to my friends and relatives during weddings, birthdays and other occasions. Before, I spent so much time and went to the different department store within the city just to look for the said items. But sometimes I'm so busy at work and it’s hard for me to get the best items I liked. It takes so much time, efforts and consumes a lot of money in going to the different stores. I did it manually by myself for a long period of time. While I am browsing the net I found the best website arthurprice.com. It’s the most famous UK cutlery and silverware manufacturer. The best products that attract me most are their elegant carving knives and steak knives. They provide fine cutlery and gift items such as Contemporary design, Classic style and English luxury by Arthur Price Collections. You can select Llewelyn-Bowen by Arthur Price such as echo, orb, manhattan, pisa and florentine. Guy Degrenne cutlery such as serenity-mirror finish, cadence-contrast finish, aquatic-mirror finish, beau manoir-mirror finish, isatis-mirror finish, venise mirror finish, venise-contrast finish, lutece-mirror finish and cantabile-contrast finish. They have also different kinds of cutlery cabinets and Clive Christian cutlery. Try their fabulous home, table and gifts for your friends and relatives. So, if you are interested visit the website or you can call 01543 257775 between 9am and 5pm GMT and buy the best items you like. Hello to all my friends in Scenic Sunday. 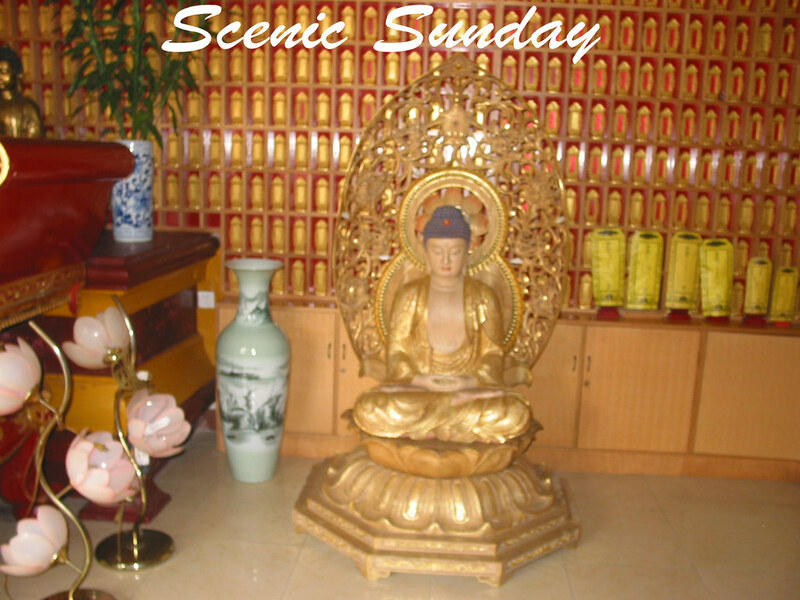 Here's my entry for this week, a Buddha picture from China. This beautiful photo of mine was given to me from my friend who traveled from China. Hope you like it! Internet is the most advanced technology and the best powerful communication tool worldwide. All users can search different kinds of information, get opportunities, benefits, knowledge, gain profits and more people become successful of their businesses. That's why internet security and safety is badly needed. We all know that there are lots of virus threats, spyware threats, hackers, spammers and many more that can make your life miserable. To protect consumers from malware, comodo.com offers free products to download such as Comodo's award-winning firewall, anti-virus software and secure email software. Comodo is the most Trusted Internet and a well-respected internet security company, selling digital certificates that can make all businesses to operate on secure socket layer. For more information visit the website and read their press release. 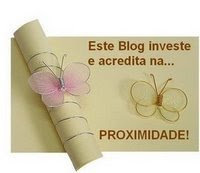 The information in this press release is for the blogger's background and not required in the post. In 2008, the Comodo companies have continuously innovated and introduced authentication and security technologies to build the foundation of a Trusted Internet. Jersey City, NJ, August 27, 2008 - "We contend daily with the challenge of figuring out who and what to trust online," said CEO and Chief Security Architect of Comodo CA, Melih Abdulhayoglu. "The Internet has yet to achieve its full potential because we cannot tell the fraudsters from our friends. In 2008, Comodo has worked hard to combat this problem." The Comodo companies announced their vision and the solutions they have developed for the architecture of the "Trusted Internet", a state that provides everyone increased online safety by introducing trust into every online interaction. The Trusted Internet depends on both authentication and security technologies to protect digital assets and transactions through mutual, real-time trust. Comodo's vision of the Trusted Internet is backed by a fast-growing and diverse team of innovators that deliver new solutions to the market at a faster pace than many other companies in the segment. In 2008 alone, the Comodo companies have introduced at least one new technology a month in the security and authentication categories, bringing the Trusted Internet state closer to all online users and businesses. The core technology model for the Trusted Internet is the Comodo Authentication Layer. This architecture incorporates patent-pending technologies with both centralized and distributed authentication processes. This capability harnesses Comodo CA's core competency in PKI for centralized authentication and innovations in creating platforms for harnessing user generated verification intelligence within a distributed authentication structure. Together, this provides for a balanced authentication infrastructure that addresses a diverse set of needs. "In an environment of increasing threats, we must empower all stakeholders within the Internet with tools to deliver the right authentication information quickly at the point of need to protect users and critical assets," said Abdulhayoglu. "The Trusted Internet initiative addresses the industry's and public's most pressing needs for trusted online interactions. It introduces new security and authentication technologies to increase the power of the Internet to improve the lives of millions of people." To learn more about the Trusted Internet, please visit the Comodo Manifesto at http://www.comodo.com/corporate/manifesto.html. 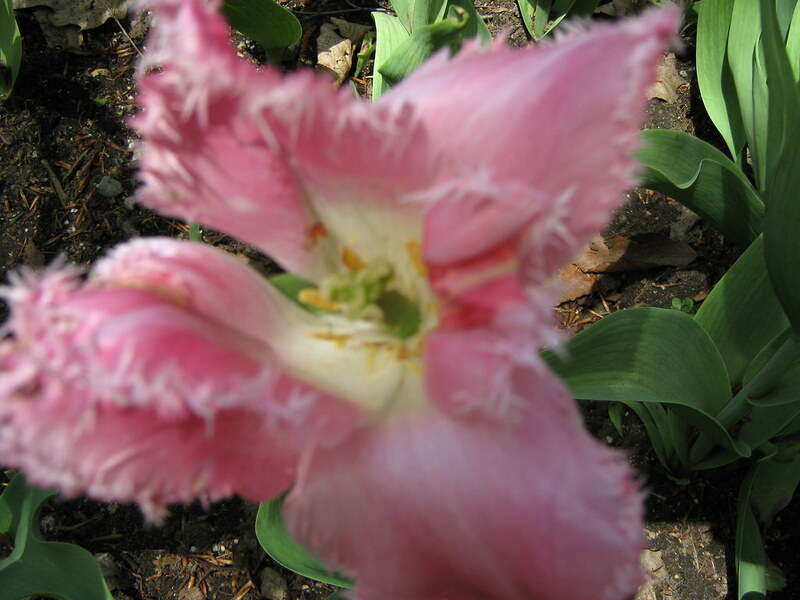 My today's flowers entry for this week is a Tulip flowers. A very unique and beautiful colors of Tulip flowers from our park Riverside. 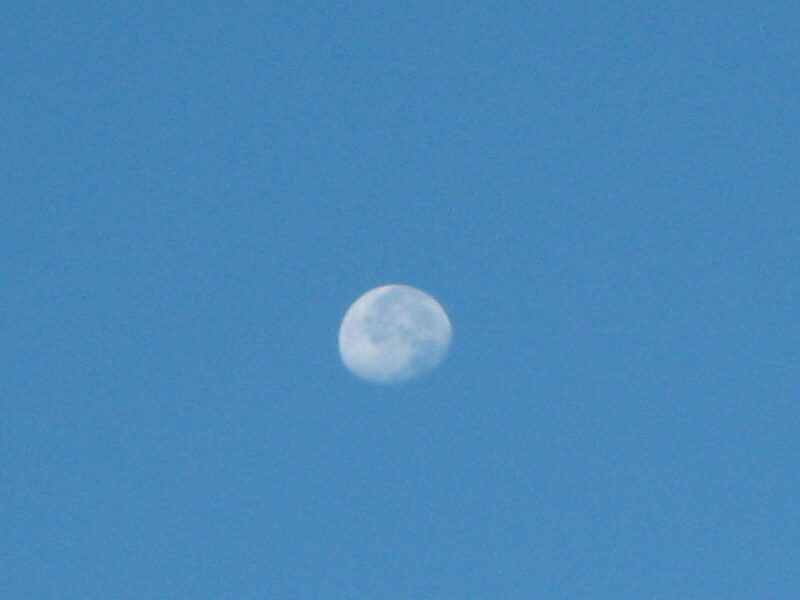 I took this last 25th of May this year. 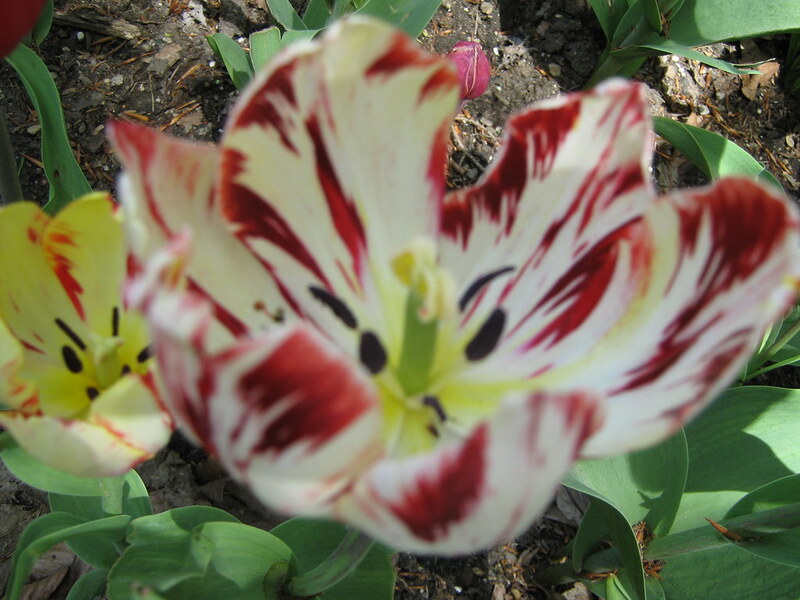 Tulip flowers loves to bloom during spring season. Thanks for the visit and hope you enjoy the weekend. Wow! I have good news to share with you. 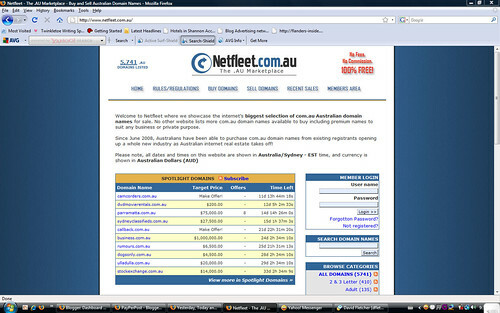 I am proud to say that com.au domains names are very available at netfleet.com.au. Now is the time to buy Australians.au domain names to gain more profit online. We all know that buying a great domain is more advantage. So, if you are interested visit their popular website and read the press release and buy now. Internet gold rush is on. A major shift in policy from auDA, Australia's domain name regulator has lead to an explosion in .au domain name trading. Effective from 1st June 2008, the change means that Australians can now buy and sell domain names for profit resulting in a boom in virtual real estate speculation. Now, with this new legislation, the industry has arrived in Australia with a bang. The prospect of turning a $30 registration fee into a 6 figure sale is probably consigned to history but one thing is sure, with 1.2 million .au domain names already registered, supply of premium domains becomes tighter and tighter leading to a surge in domain name valuations. www.netfleet.com.au is the leading website to have emerged with a focus on Australian domains with nearly 6,000 .au domains listed. It currently lists several sales so far including photographers.com.au for $5,000 and pwc.com.au for $10,450. Still current auctions include business.com.au with an asking price of $1,000,000 and hobart.com.au drawing a bid of $25,000. With less than 5 months since the dawn of this new type of investment, the .au domain aftermarket has experienced a tremendous start and it's only a matter of time until we can expect to see the first of the dot com dot au millionaires. Thanks Misty! 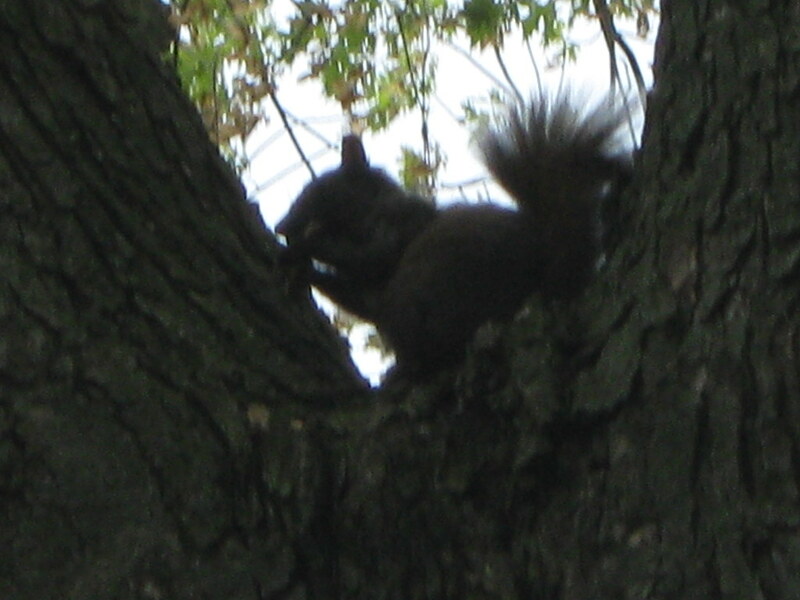 Camera Critters is here again and my simple entry for this week " Squirrel ". 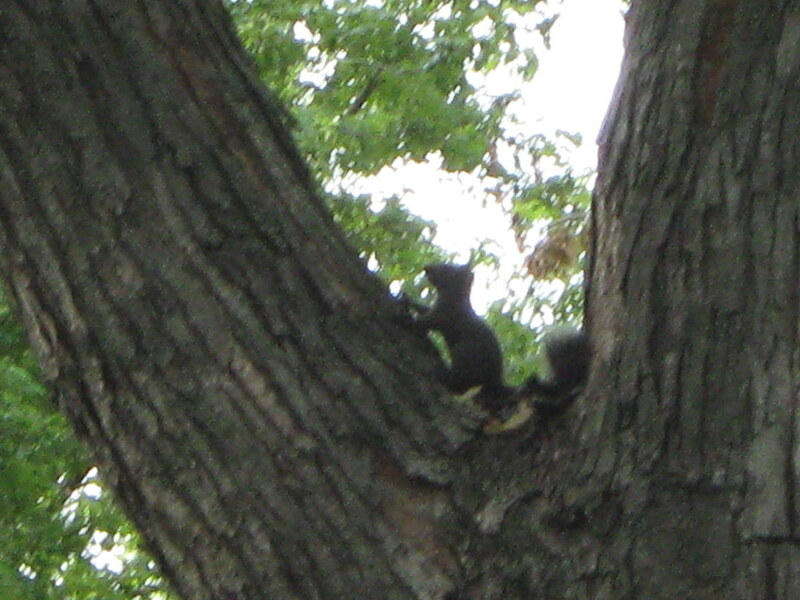 I took this squirrel pictures when we have a picnic with friends at Boat House Park. 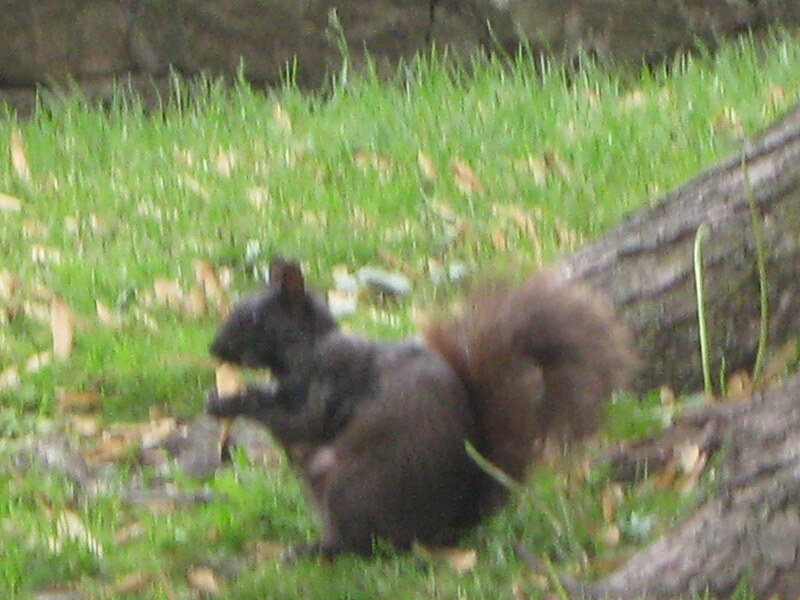 Here in our place there are lots of wild squirrels living in the parks and everywhere. Travel around the world is the greatest dream of everyone. You can relax from your heavy works and enjoy the breathtaking views of the place. We all know that not all the time that we can bring our own car anywhere in this world. That’s why your vacation will become complete, exciting and enjoyable if you rent a car and experience the most spectacular views, great attractions, wonderful scenery of the place. In every travel we need to plan it very carefully before you proceed to your destination. Planning to travel around the world is very simple and easy. You only need to search it online and know every details of the place and rent a car to make your travel become perfect, goes smoothly and easily. Nowadays, you can easily book and hire a car online in just a matter of seconds. No need for you to travel to any places just to look for a car. When you reach to your destination, you can easily use a comfortable car for the said travel. Well, if you are looking for the cheapest and beautiful car hire online, carhiredirect.co.uk is the best destination. They have more than 40 car rental companies in many different countries such as Spain, Italy, France, Portugal, United Kingdom, United States of America and many more. If you love to enjoy the beautiful place of Portugal, portugal car hire is the best. All you have to do is to log on the website, simply enter the location that you would like to pick up the car from anywhere in the world, don't forget to select the dates you wish to hire the car, enter your age, the type of car you like and click the button proceed to compare prices of up to 40 car hires suppliers. Again, if you are interested, visit their popular website, book online and enjoy your travel. True friends are always there to give a helping hand. Thanks to my pretty friend gagiers for sharing this Friendship award. I would like to pass this friendship award to Mymy , Wincel and to all my friends online. Just feel free to grab this anytime you need. We need Friends to remember usone we have passed sharing memoriesthat will always last. We all know that millions of people today searching for friends or a partner in life. Every person has the freedom to meet new friends around the world. If you are looking for a lesbian friend, try to visit lesbianromance.com and you can find California Lesbians online. It’s guaranteed safe, secure and you can sign up for free membership. 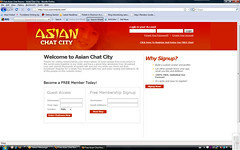 All you have to do is to log on the website and meet new friends online. Wow!!! It’s 21st of September today. You know what? It’s my one year anniversary here in Canada. I can’t believe time moved so fast. 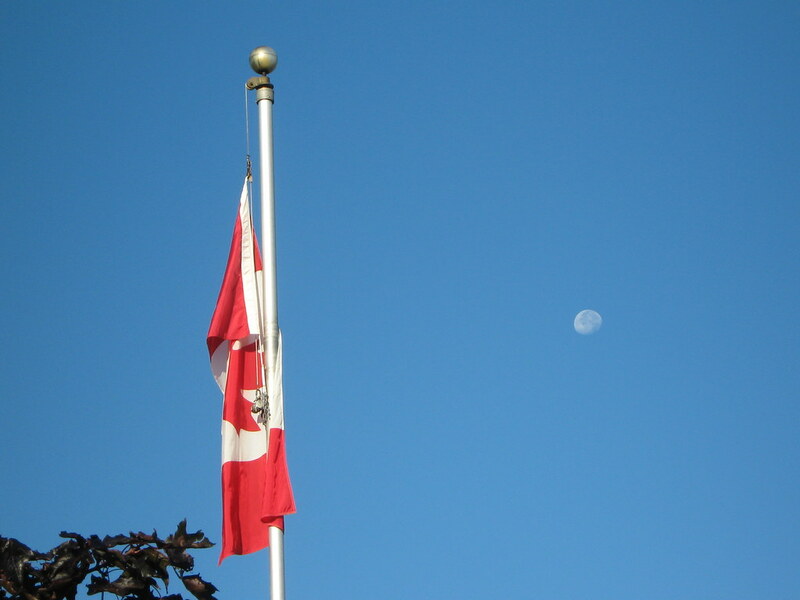 I can still remember when I left my beloved country Philippines and decided to move Canada, its 21st of September. I traveled alone from Manila International airport to Hongkong airport then transfer to another airplane to Vancouver airport. It’s my first stepped in Vancouver International Airport, a long walk to the airport terminal at exactly ten in the morning. I felt so nervous that time maybe because I was traveling alone. I got my working permit at Vancouver, Canada Immigration. 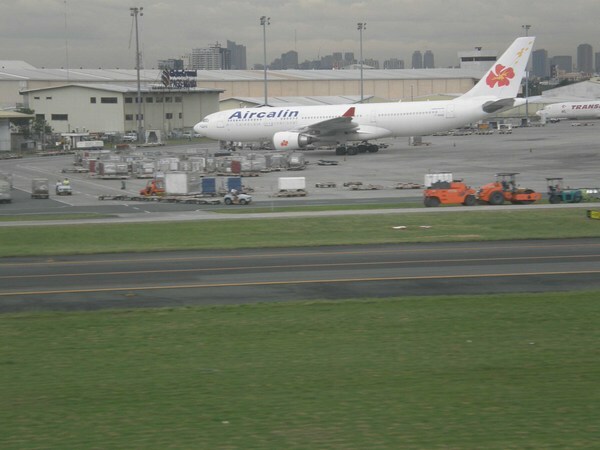 After that I continued my flight to Toronto at around twelve in the afternoon and it took eight hours to reach my destination. When I first landed to Toronto, my sister, niece and brother in law waited for me at the airport. It’s a spring season, 21st of September, a great experienced very unforgettable. 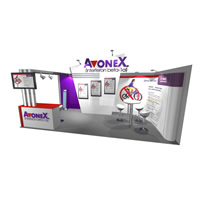 Are you looking for the best and versatile exhibition display equipment? Displays Direct Australia is the best supplier of unique and latest trade show displays, pull up banner stands, portable counters, customs built expo stands, outdoor flags and banners, portable brochure stands, LCD stands, brochure stands, tension banner stands, motorised banner stands, lighting and many more. These exhibition displays equipment are suitable for any businesses of your company such as corporate, museum, schools, conventions, conferences, seminars, event backdrops, retail environments, office environments, advertising your products and for any occasions. They are using top quality materials of a full colour graphics that are high in quality and printed in Australia with very affordable prices. Their graphics are printed at high resolution, using advance digital technology and durable polyester. They laminate and seal to make sure that it is long and lasting, durable, scuff-resistant and easy to wipe down the graphics and looks great and beautiful. To make your potential customers attracts and focus their attention to your company or brand visit www.displaysdirect.com.au and try to order their excellent exhibition display for your business. Weekend is here again. But this time I will not rest because we have plenty of visitors coming this afternoon. My niece will celebrate her 4th birthday party. So, I first thing I will do this morning is to clean the house, vacuum from the living room, to the kitchen and all the rooms. Arrange all the things in the cabinet especially the scattered toys of my niece. My sister will cook the entire recipe and I will just help her in the kitchen. The party will start at around four in the afternoon. To tell the truth nothing but the truth is the most important if you want to Write a Website Review. All people around the world have the greatest opportunity to voice out their words, opinions and can share their knowledge over the net. In Talk Reviews you will learn a lot of things from the top websites nationwide. You can also check your statistical data from page rank, traffic stats, alexa rank and many more. So, what are you waiting for, log on to talkreviews.com and search your own site. Hello to all my friends who spend their time to drop at my enter card. Thank you so much and I hope you continue to drop at my humble site and I promise to visit you also then share my one click drop to you. God bless and enjoy the weekend. Without a friend our life becomes boring and miserable. If you want to make friends with a Jewish Singles try to visit jsingles.com. It's a great place for you to find a new friend or a lifetime partner. You can share all your experiences in life, talk about your interest, sports and many interesting topics you like. It's so easy and simple, just log on to the website, sign up for free and you can immediately find a new friends online. I just arrived from grocery store. We bought many different kinds of foods, drinks and many more for tomorrow’s preparation. It’s a 4th birthday party of Abby tomorrow. We are so busy tonight cooking some delicious foods for tomorrow. Only our close friends, relatives and family are invited to come. Are you looking for the most beautiful Asian women in the world? Asian Chat is the best place for you. You can easily meet cutest new friends or a lifetime partner. Through chatting you can share your hobbies, likes and dislikes, sports, religion and many more. So, what are you waiting for, visit the website now, sign up for free and start chatting online. I can’t believe it! First time in blogging that my post reached more than one hundred post in just one month only. Usually it’s only more than fifty or below. But now as of September it’s already more than one hundred posts. Wow! At last I’m very persistent now not like before that I only post once a day and no more. But now I’m so happy that I can post more than ten posts daily. Age doesn't matter, that's the usual quotes for seniors if they feel inlove. In terms of communicating with friends as well as dating, senior is the best. So, if you are searching for a senior friends or a lifetime partner, Senior Singles is the perfect website for you. You can share a lot of topics such as politics, hobbies and achievements in life. If you are interested, just log on datingforseniors.com and sign up for free. Laughter is the best medicine to your health. According to them if you don't know how to laugh you will easily get old. So, if you want to stay young, laugh when it is time to laugh and to wear a smile, relax and taking everything easy when you are in the most challenging situation of your life. If you put God in the center between you and your friend, your friendship becomes stronger. Nowadays, it is very easy to find new Christian friends around the world. In christianlifestyle.com you can also meet someone to love with the same faith and beliefs. If you are interested, Christian Singles is waiting for you. It is guaranteed safe, secure and you can sign up for free membership. Friendship is a chain of gold that needs to express and share to everyone. Wear a smile, wave your hand and say hi is the best way to show you care to a friend. My sweetest friend lynn, thanks for sharing and propagating this friendship award. And I would love to propagate this award also to my 8 blogger friends online. I love the blogs of these people and I'm glad to pass this award onto them! All they need to do is to leave the following message on their post when they pass the award on to their chosen eight bloggers. My friends here in blogging are the best vitamins for me. Even if I failed to eat my breakfast or lunch sometimes but I'm not hungry. I'm enjoying myself visiting my friend's site, reading their post, viewing wonderful photos and videos and leave some nice messages in the comment box. Aside from visiting other sites, I also enjoy talking to my friend Mabelle online while typing and updating my post. 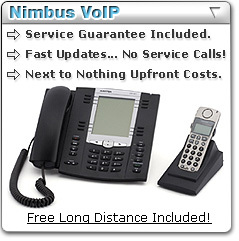 Are you looking for the best phone system? VoIP phone systems by Xpander are best designed to be the smarter, flexible and user friendly business phone systems around the world. You can enjoy the advance features like plug and play Void phones that works anywhere, broadband and web control panels where you can route your extension, manage voicemail, click to dial users and many more. It can help you to become successful, organize your company by using the best phone and web. Its guaranteed best in quality, better services, fast updates, no service calls and make all things clear with unlimited calling in the US. It is best loved by many Florida businesses and to all part in the US. For more details, log on to xpandercommunications.com and enjoy their services. Another awesome and very creative award coming from my sweetest friend Jhona. Thanks to you sis for remembering me always. I appreciate all the efforts and for being thoughtful to me. God will take care of you and help to make your dreams come true. Good luck and happy trip in advance. 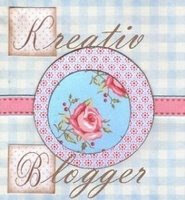 Give this creative award now to your top 5 most creative blogger friends! *The winner may put the logo on his or her blog. *Put a link to the person you got the award from. *Put links to the blogs. *Leave a message to the nominees. Love to pass this creative award to Mymy, Wincel, Mabelle, Lynn and sis. Good morning to my fellow blogger friends online. It's time to update our post again. I'm so thankful to those loyal friends who love to visit my site and leave some inspiring message in my comment box. I appreciate all the efforts and for spending precious time in my humble site. I promise to visit you all also and once again, a wonderful morning to all of you. When I was in high school I love to played basketball games with my friends in the campus. For me, it is one of the best sports that can make my life enjoyable, full of excitement and satisfaction. I'm also an avid fan of NBA players since I was young and up to the present. It's my greatest dream to watch them playing in reality. While I was browsing the net I found a perfect website for NBA basketball tickets. Miami Heat tickets is now available with a very affordable prices. Premium Seats USA has the largest inventory of Miami heat tickets on the web. You can easily order online or call for free at 1-866-312-9295 and select the best seat that you like. For more details, visit www.premiumseatsusa.com/nba/Miami-Heat and buy ticket online. Oh my god! It's almost two o'clock again. I need to sleep now because I fall asleep in my computer already. Yesterday night I didn't off my laptop because I slept while typing the keyboard. But tonight I will log off now. That's all for now because I need to wake up early tomorrow to buy something in the store. Goodnight to everyone. Good morning to all sky lovers especially to Tom, Sandy, Imac and Klaus. It's time for us to post our entry today and here's mine " Moon". 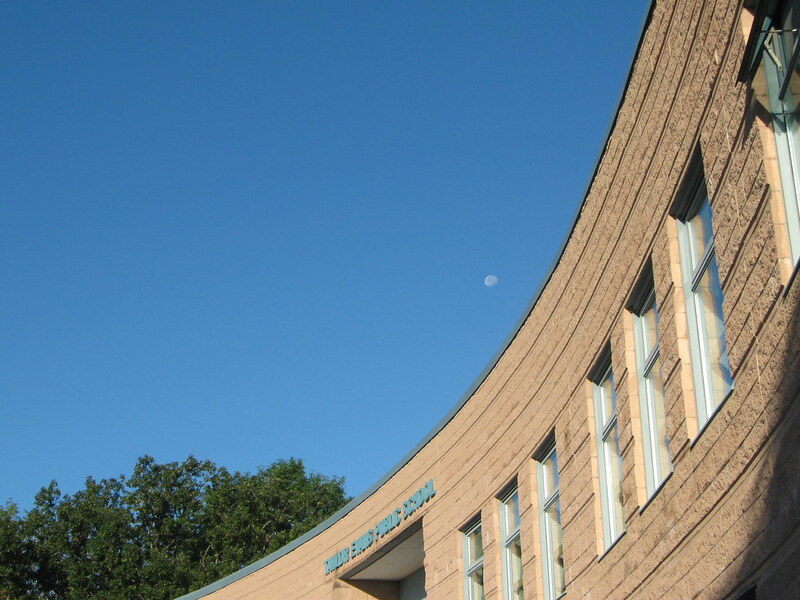 I took these photos when I went to school to accompany my niece today at around eight in the morning. It's a beautiful day and the weather is good. That's all for now, thanks for the visit and comments. 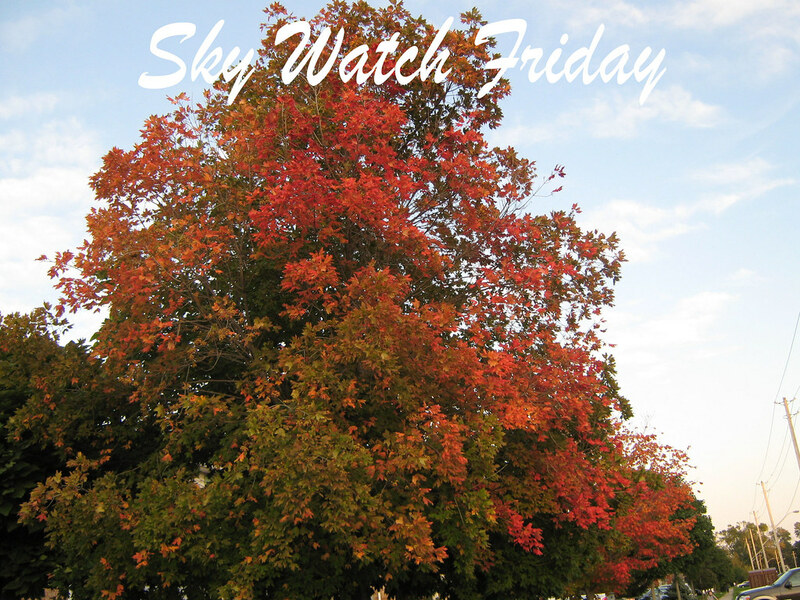 Once again, happy Sky Watch Friday to all.